Border guard Bangladesh (BGB) and police arrested two Burmese drug smugglers in different place on October 6 and 4, said Jafor Ahamed, a local from Teknaf said. Rahmat Ali (20), son of Amir Ali, Dayal para near block number 5, Maungdaw, Arakan state, Burma, was arrested with 150,000 pieces of Yaba tablets on Teknaf Jaliapara river bank on October 6, at 12;30AM, by Border Guard Bangladesh (BGB) while crossing the Naf River by row boat, said Major Jafrul Haque, acting commanding officer of BGB-42. BGB handed over to Teknaf police station where a case was filed against him about drug smuggling, Jafrul said. Similarly, being tipped off, Police personnel from Whykong out post arrested Feroz Khan (19), son of Nur Hussain, Maung Ni village, Maungdaw, Arakan, Burma, with 1,400 Yaba tablets on October 4, at about 11:00AM, after checking his body near Noyabazar area, said police officer Shamiur Rahaman. After arrest, he was detained in the police box for further interrogation. Later on, police had filed a case against him in connection of Yaba smuggling and sent to Cox’s Bazar jail, according to police. 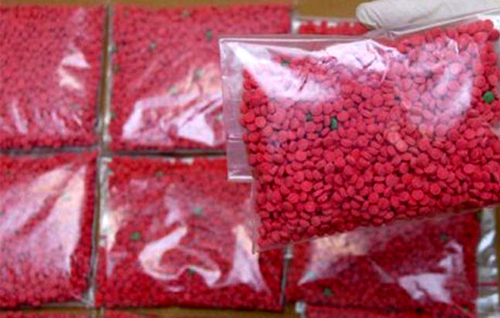 Thousands of Yaba tablets have been smuggled to Bangladesh from Burma by smugglers. The concerned authorities of Bangladesh arrested many Bangladeshi including some Rohingyas along with Yaba tablets and sent to jails. This entry was posted in English, News and tagged Arakan, BGB, Burma-Bangladesh border, Police, Rakhine, Rohingya, Teknaf, Yaba. Bookmark the permalink.